« Video of the Week: Batusi! Did you like the movie Friday Night Lights? Part of that was filmed in the Astrodome. Other cool movies filmed in Houston: Urban Cowboy, Terms of Endearment, Rushmore, Robocop II and Apollo 13, among many others. Remember that scene in FM with Linda Ronstadt? Yup, filmed in the old Summit. And in the big Darkness On the Edge of Town box set, there’s a DVD with an epic 1978 show by Bruce Springsteen and the E Street Band, also from the Summit. The Summit’s now a church, but we also have the Cynthia Woods Mitchell Pavilion, always one of the top-ranked outdoor performing arts venues in the country (usually right behind Bethel Woods in New York, where something happened way back in 1969). 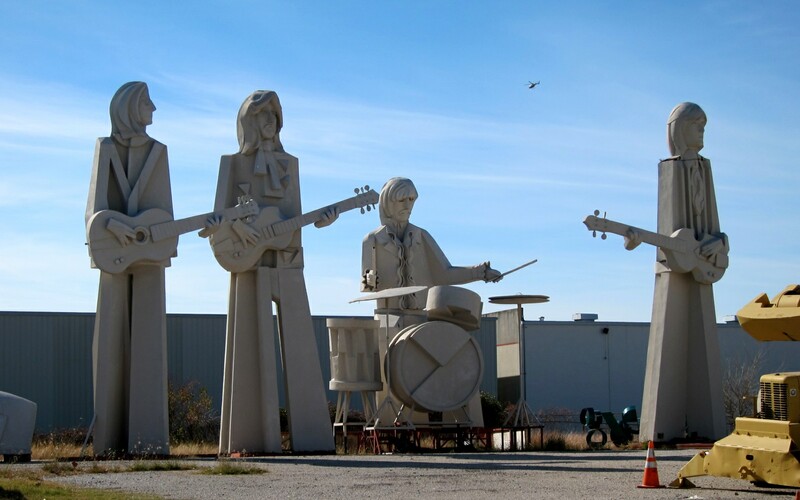 OK, I could go on and on … we have some nice venues, nice musicians and nice people in Houston. We have great restaurants and if you eat too much, the biggest Medical Center in the world. One thing we don’t have? Snow! Ahem. Next time y’all are in Texas, come visit Houston too. It’s easy to find us – just go to Austin and turn left. This entry was posted on January 22, 2011 at 10:28 am and is filed under Rock Rant with tags Big Mama Thornton, Bob Dylan, Doug Sahm, Lightnin' Hopkins, Steve Earle, Townes Van Zandt, ZZ Top. You can follow any responses to this entry through the RSS 2.0 feed. You can leave a response, or trackback from your own site. You left out a few – Kings X influenced many a prog rocker. Arcade Fire’s primary members are from the Woodlands. Don Henley is from here. Blue October, like them or not, is from H-Town. Also, guys like Daniel Johnston and other eclectic noise-folk artists birthed an entire underground genre here. Speaking of genres, Chopped and Screwed – the hip hop music style inspired by “Scrweston’s” codeine scene included 8Ball & MJG as well as the extremely successful Chamillionaire. 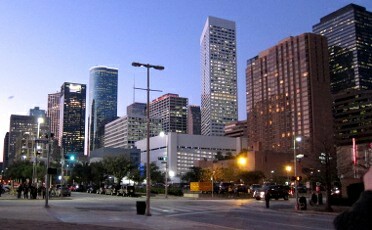 Houston is often referred to as the Third Coast by rap and hip hop aficionados. Then there are the many country and Latin artists that got their start here. La Mafia may be tejano, but they are hugely popular in Latin music. There’s a reason they hosted the Latin Grammy’s here a couple years back. Houston has a deep, rich and incredibly diverse musical history. Much like the city, you can’t just look at the surface and see all of it. Like Houston, it takes some digging, but it’s worth it. Nearly forgot all the great jazz over the years. The New York Times did a story last week about a gathering of Houston jazz musicians in the city and how important Houston has been in nurturing great jazz artists. You are right, Jeff … there is so much to Houston that it can’t be covered in one silly short blog post. Thanks for filling in the gaps. A good story on Houston which is a city that is overlooked quite often. There is so much diversity here and many in the U.S. are unaware of it. As the title of this story is aptly named, I also must add one more Blues Artist from the infamous 5th ward. Juke Boy Bonner was yet another wonderful Blues Artist who had a song titled “The Actions Town” which was all about Houston. Give it a listen and you can appreciate the raw sound and bare bones stripped down feel to it. Concentrate on the lyrics and you get a sense of Houston during a different era.